Browse galleries of James Dawson Design's past works. Since 1994 James Dawson has created unique designs and with a comprehensive approach to design and fabrication. 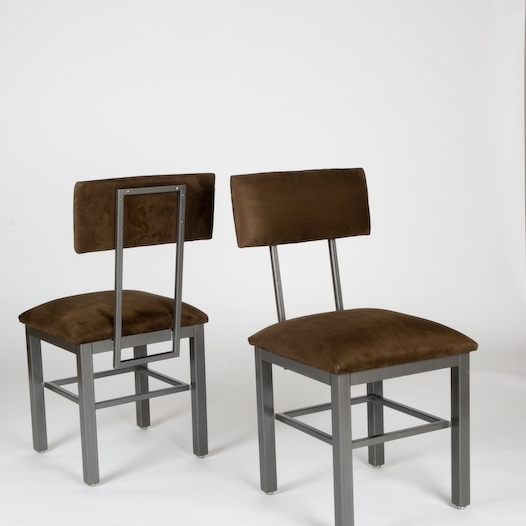 His dedication to modern studio furniture allows seamless pieces to be created for homes and businesses. Using a wide range of materials – including carbon and stainless steel, other metals, concrete and Richlite – he creates distinctive designs with a focus on sustainability. Each piece is crafted at the studio in Houston and is finished by hand to bring out the natural qualities of the material. James Dawson's creations can be used to furnish any home, office, or business. Some of his past clients have been Caracol, Xochi, Hungry's, Common Bond, and Tiny's No. 5. Contact us with any questions, requests, or consultation scheduling. Our office is open on weekdays, but the best way to get in touch is to call or email before you stop by.